Join us today for a special Crunk Tutorial by Bianca Philips, Memphis’s own Vegan Crunk Chef and author of “Cookin’ Crunk: Eatin’ Vegan in the Dirty South” as she teaches us about Southern Crunk and how to make a special “crunk-style” recipe. Hi there! My name is Bianca Phillips, and I run a little food blog called Vegan Crunk, where I post daily about the meals I’m eating, the cookbooks I’m loving, and the vegan products I can’t live without. 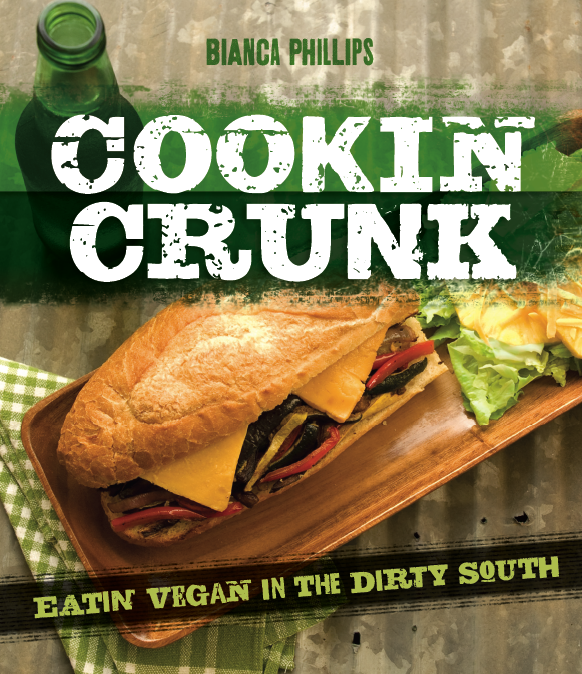 Last September, I released my first cookbook, Cookin’ Crunk: Eatin’ Vegan in the Dirty South. It’s a collection of about 150 vegan Southern soul food recipes, many of which I grew up eating in my hometown in Arkansas. Today, I live in Memphis, Tennessee, where we like to keep it crunk. What’s “crunk,” you ask? 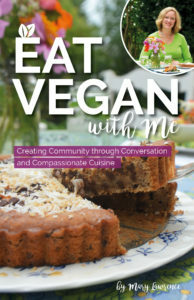 Since my book has come out, I’ve heard “What does crunk mean?” about as often as most vegans hear the ubiquitous “Where do you get your protein?” question. Memphis folks know what crunk means. The Dirty South knows what crunk means. But for everyone else, here’s a fun crunk tutorial. And that scratches the surface. It is, indeed, a style of rap music that originated in Memphis (think Triple 6 Mafia). But crunk is so much more. It’s about passion. It’s about excitement. It’s about getting wild and crazy. When a party gets crunk, well, that’s where you want to be. I love a good ole crunk party, but I also manage to keep it pretty crunk up in my kitchen. I get excited about Southern soul food. I’m passionate about peas (black-eyed ones, of course). I’m wild about watermelon. I get crunk over cornbread and collard greens. I infuse soul and love and fun into everything I cook. It’s like a party in my pantry every day. And like so many good Southern women (and men! ), I got my fervor for cookin’ from my mama and my granny. I grew up watching them delicately layer casseroles and pull together pies like nobody’s business. In the spirit of crunkness, I’d like to share a little crunk recipe from my cookbook. No Southern plate is complete without a big ole plate of greens, right? 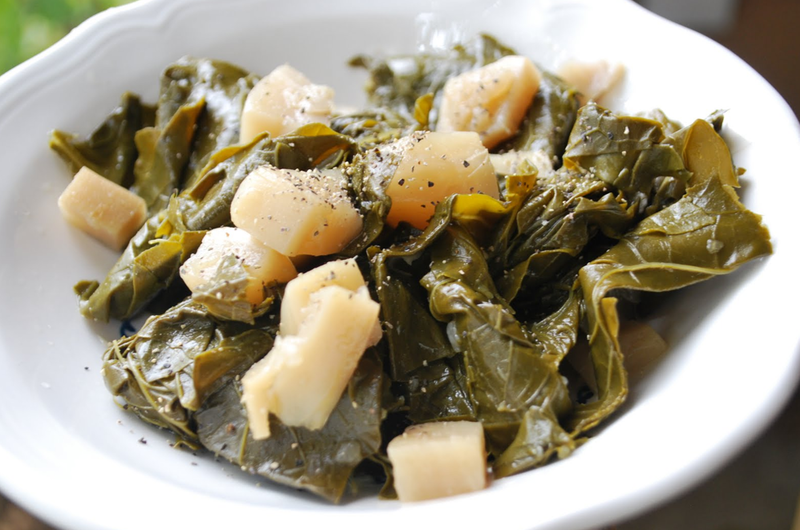 Here’s my recipe (based on my Granny’s recipe) for slow-cooked collards. Stir together the vegetable broth, sugar, olive oil, Liquid Smoke, salt, and pepper in a large soup pot with a lid. Add the torn greens and turnips. Bring the pot to medium heat. Cover and simmer for about 40 to 45 minutes or until greens lose their bitter flavor and turnips are very tender. Season with plenty of hot sauce. 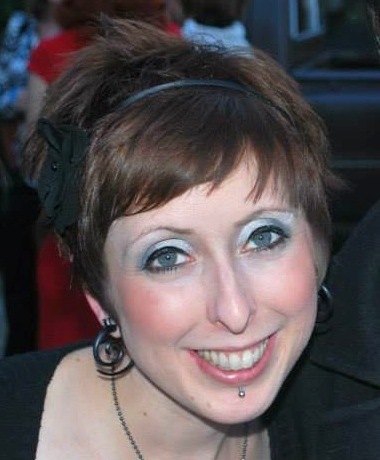 Bianca is an 8-year vegan, 18-year vegetarian from the Mid-South, not too far from the muddy banks of the Mississippi River. And that means cornbread, butter beans, collard greens, and Paula Deen. These days, she lives in Memphis. Check out her cookbook — Cookin’ Crunk. It’s filled with yummilicious, veganized soul food and country classics. Love reading your blog. I am so interested in blogs such as yours. Having an international E-commerce business that supply only consumable vegan products for over 35 years – your blog really excites. let me know your FB would love to hook up with you.